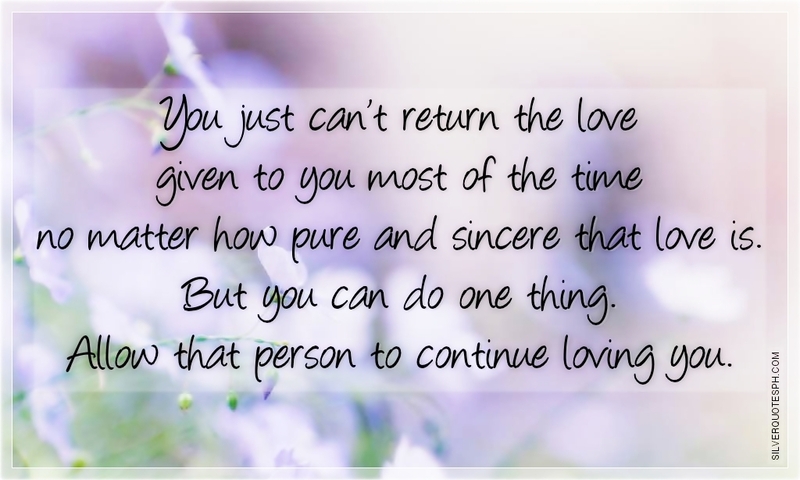 You just can’t return the love given to you most of the time no matter how pure and sincere that love is. But you can do one thing. Allow that person to continue loving you.